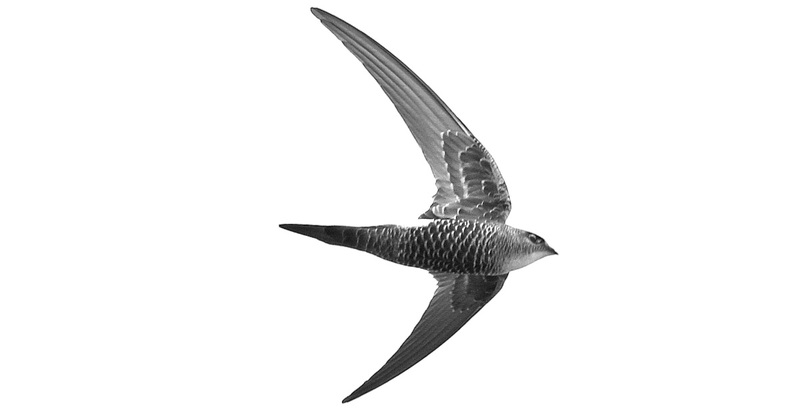 Meaningful Code: SwiftObserver promotes meaningful metaphors, names and syntax, producing highly readable code. Non-intrusive Design: SwiftObserver doesn't limit or modulate your design. It just makes it easy to do the right thing. Simplicity: SwiftObserver employs very few simple concepts and applies them consistently without exceptions. Flexibility: SwiftObserver's types are simple but universal and composable, making them applicable in many situations. Safety: SwiftObserver makes memory management meaningful and easy. Oh yeah, real memory leaks are impossible. Reactive Programming adresses the central challenge of implementing a clean architecture: Dependency Inversion. SwiftObserver breaks Reactive Programming down to its essence, which is the Observer Pattern. SwiftObserver is just about 1200 lines of production code, but it also approaches a 1000 hours of work, thinking it through, letting go of fancy features, documenting it, unit-testing it, and battle-testing it in practice. Why the Hell Another Reactive Library? Found a bug? Create a github issue. Need a feature? Create a github issue. Want to improve stuff? Create a pull request. Want to start a discussion? Visit Gitter. Need support and troubleshooting? Write at swiftobserver@flowtoolz.com. Want to contact us? Write at swiftobserver@flowtoolz.com. Then follow these instructions and run $ carthage update --platform ios. Then run $ pod install. Then run $ swift build or $ swift run. No need to learn a bunch of arbitrary metaphors, terms or types. SwiftObserver is simple: Objects observe other objects. Or a tad more technically: Observed objects send messages to their observers. Create a variable. It's an Observable that holds a value and sends value changes. Create a mapping. It's an Observable that transforms messages from a source observable. Create a messenger. It's an Observable through which other objects communicate. Implement a custom Observable by conforming to CustomObservable. The property latestMessage typically returns the last sent message or one that indicates that nothing changed. It's a way for clients to request (pull) the "current" message, in addition to waiting for the Observable to send (push) the next. Combined observations also rely on latestMessage. Typically, an Observable sends its messages by itself. But anyone can make it send latestMessage via send() or any other message via send(_:). You can stop an observable's observations via observable.stopObservations(). But when an observable dies, it automatically stops all its observations, so you don't need to do anything in its deinit. Forgetting some observations wouldn't waste significant memory. But you should understand, control and express the mechanics of your code to a degree that prevents systemic leaks. Memory management with SwiftObserver is meaningful and safe. There are no contrived constructs like "Disposable" or "DisposeBag". And since you can always flush out orphaned observations, real memory leaks are impossible. A Var<Value> has a property value: Value. If Value is Equatable or Comparable, the whole Var<Value> will also conform to the respective protocol. Every Var<Number>, Var<Number?>, Var<Number>? and Var<Number?>? has either a var int: Int, var float: Float or var double: Double. That property is non-optional and interprets nil values as zero. You can apply numeric operators +, -, * and / to all pairs of Number, Number?, Var<Number>, Var<Number?>, Var<Number>? and Var<Number?>?. Every Var<String>, Var<String?>, Var<String>? and Var<String?>? has a var string: String. That property is non-optional and interprets nil values as "". Representing its string property, every Var<String> and Var<String?> conforms to BidirectionalCollection, Collection and Sequence. You can apply concatenation operator + to all pairs of String, String?, Var<String>, Var<String?>, Var<String>? and Var<String?>?. A Var<Value> sends messages of type Change<Value>, providing the old and new value, with latestMessage holding the current value in both properties: old and new. A Var sends a Change<Value> whenever its value actually changes. Just starting to observe the Var does not trigger a message. This keeps it simple, predictable and consistent, in particular in combination with mappings. Of course, you can always manually send latestMessage via send(). Internally, a Var appends new values to a queue, so all its observers get to process a value change before the next change takes effect. This is for situations when the Var has multiple observers and at least one of them changes the value in response to a value change. Note that text is a var instead of a let. It cannot be constant because the implicit decoder must mutate it. However, clients of Model would be supposed to set only text.value and not text itself, so the setter is private. As mentioned earlier, you use a mapping like any other Observable: You hold a strong reference to it somewhere, you stop observing it (not its source) at some point, and you can call latestMessage, send(_:) and send() on it. You can also reset the source, causing the mapping to send a message (with respect to its filter). Although the source is replaceable, it's of a specific type that you determine by creating the mapping. Being able to declare mappings as mere transformations, independent of their concrete sources, can help, for instance, in developing view models. When you chain mappings together, you actually compose them into one single mapping. So the source of a mapping is never another mapping. It always refers to the original source Observable. In the above example, the source of the created mapping is a Var<Int?>. // ^^ sends messages of type String? // ^^ sends messages of type String, replacing nil with "untitled"
A mapping that has a filter maps and sends only those source messages that pass the filter. Of course, the filter cannot apply when you actively request the mapping's latestMessage. // someone sent "my notification"
// FAIL: This closure will never run since no one holds the observed mapping! Int.init($0)    // String -> Int? The chaining variant returns a result on which you call the next transform function. The terminating variant takes your actual message receiver in an additional closure argument. // the sky became blue, let's go for a walk! When observer and observable need to be more decoupled, it is common to use a mediating observable through which any object can anonymously send messages. An example of this mediator is NotificationCenter. The actual observable, which is the messenger, sends no messages by itself. Every object can trigger messages, without adopting any protocol. Multiple sending objects trigger the same type of messages. An observer may indirectly observe multiple other objects through one observation. Observers don't care as much who triggered a message. Observer types don't need to depend on the types that trigger messages. // textMessenger.latestMessage == "my text message"
// textMessenger.source.value == "my text message"
The intended use of the object is explicit. All sent messages become latestMessage (also guaranteeing that send() resends the last sent message). You have the option to deactivate message buffering via remembersLatestMessage = false. You can reset the latest message without sending. In particular, optional message types allow to erase the buffered message via latestMessage = nil. The message type doesn't need to be Codable. // respond to "my notification"
A CustomObservable uses its messenger to implement Observable. For instance, send(_:) internally calls messenger.send(_:). If your Message is optional, you can also erase the buffered message at any point via messenger.latestMessage = nil. Note that Swift can (as of now) not infer the associatedtype Message from a generic property like messenger, but it can infer Message from latestMessage. So the above example doesn't need this: typealias Message = Change<String?>. Since the wrapped observable might die, Weak has to buffer, and therefore duplicate, the value of latestMessage. This is a necessary price for holding an Observable weakly while using it all the same. Patterns that emerged from using SwiftObserver are documented over here. SwiftObserver diverges from convention. It follows the reactive idea in generalizing the Observer Pattern. But it doesn't inherit the metaphors, terms, types, or function- and operator arsenals of common reactive libraries. This freed us to create something different, something we love to work with. Leaving out the right kind of fancyness leaves us with the right kind of simplicity, a simplicity which is powerful. Read more about the philosophy and features of SwiftObserver. SwiftObserver is released under the MIT license. See LICENSE for details. Added class ObservabeObject as a mostly internally used abstract base class for observables. Var, Mapping and Messenger now derive from ObservableObject. Some memory management functions have been renamed to be more consistent with the overall terminology. The type Observable.Update has been renamed to Observable.Message. Non-optional generic types: Variables and messengers do no longer add implicit optionals to their generic value and message types. This makes it possible to create variables with non-optional values and the code is more explicit and consistent. You can still initialize variables and messengers without argument, when you choose to make their value or message type optional. Meaningful custom observables: Custom observables now adopt the CustomObservable protocol. And they provide a Messenger<Message> instead of the latestUpdate. As long as Swift can't infer the type, you'll also have to specify the associated Message type. The operators on string- and number variables now work on all combinations of optional and non-optional generic and main types. For instance, string concatenation via + works on all pairs of String, String?, Var<String>, Var<String?>, Var<String>? and Var<String?>?. All variables with values of type String, Int, Float and Double also have a non-optional property that is named after the value type (string, int ...).